Gurnazar is a young singer who has become famous after singing few songs. He is a part of a popular band named “Green Chorus” which is known for doing music night shows in Punjab as well as Chandigarh. Until now, Gurnazar songs list is not very long as he is new to the world of word of music. The popular songs of the singer are Avega Mahi, Yaaran Da Katchup, Aadatan, Bewafa, Izhaar, Black & White, and Koi Vi Nahi. 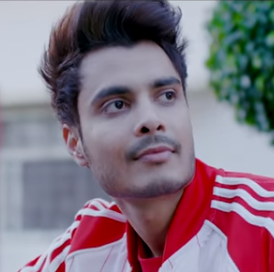 His duet song, Koi Vi Nahi with Shirley Setia, received a positive response from the listeners. It crossed over 30 million views on youtube in just a few days. BOTY has made a collection of Gurnazar songs which are really masterpieces to listen. Listen to these songs and have a great time. We hope you enjoyed listening to all the songs on the list. To enjoy, Gurnazar new song of 2018, don't forget to come back to BOTY.